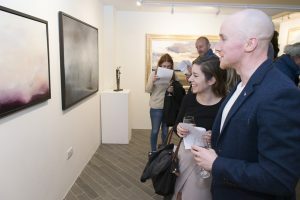 Thursday last week saw the grand opening of the Sol Art Gallery in Unit 3, The Times Building, D’Olier Street, Dublin 2. It had previously been on Dawson Street. There was a great crowd there for the launch to see some great art work and cause some red dots to appear on the wall. 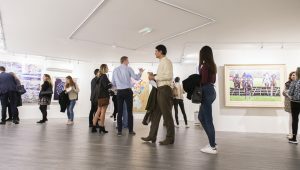 The gallery is very centrally located and extends over three floors including basement. We hope Martin is happy in his new home. For more information see www.solart.ie. 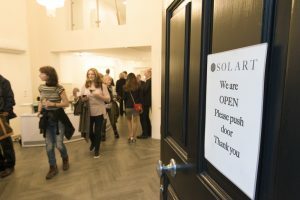 No user commented in " Sol Art Gallery Opens On D’Olier Street "